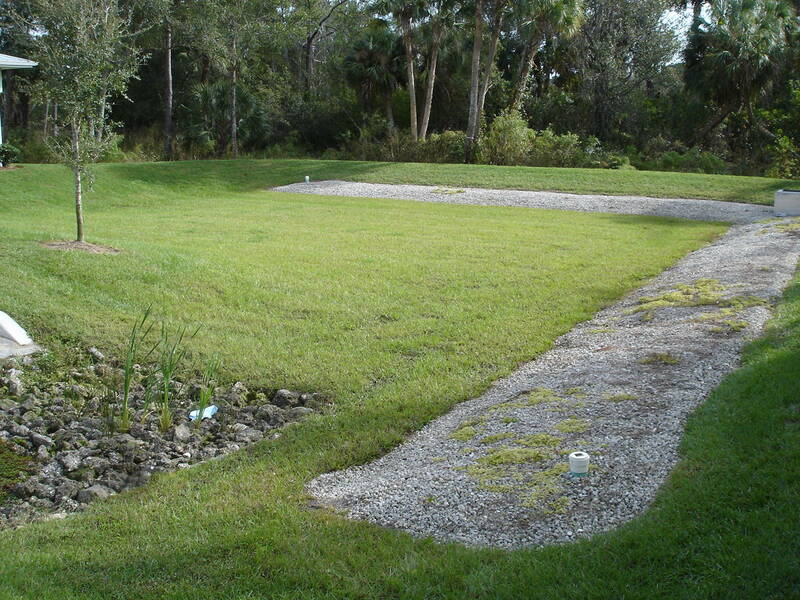 Underdrain ponds can either have a dry bottom or have a permanent pool of water for aesthetic purposes. They use a man-made sand filter to remove pollutants from stormwater. The process is similar to that of sand and DE filters used for swimming pools. As the water flows through the underdrain, pollutants are trapped by the special sand filter media. The filtered water is collected by an underground perforated pipe inside the underdrain, and then flows out through the control structure. 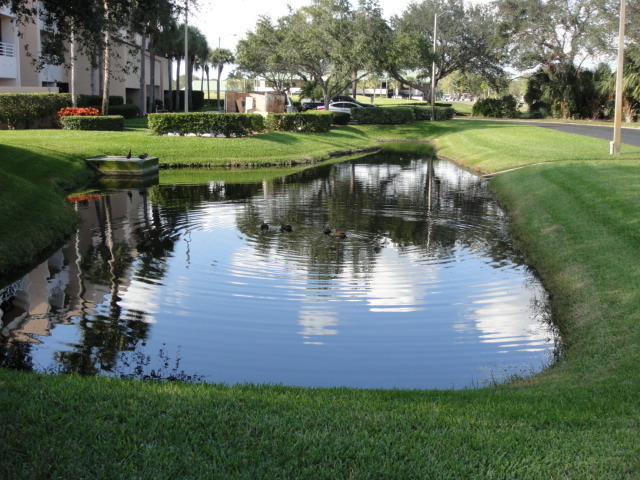 Underdrain ponds are the most complex type of ponds and have the most problems. They often have one or more plumbing clean-outs visible. The upper photo shows a typical underdrain that is covered by coarse gravel ballast and has a white plastic clean-out. The lower photo shows an underdrain pond that has a permanent pool of water, and the underdrain is covered with grass rather than ballast.